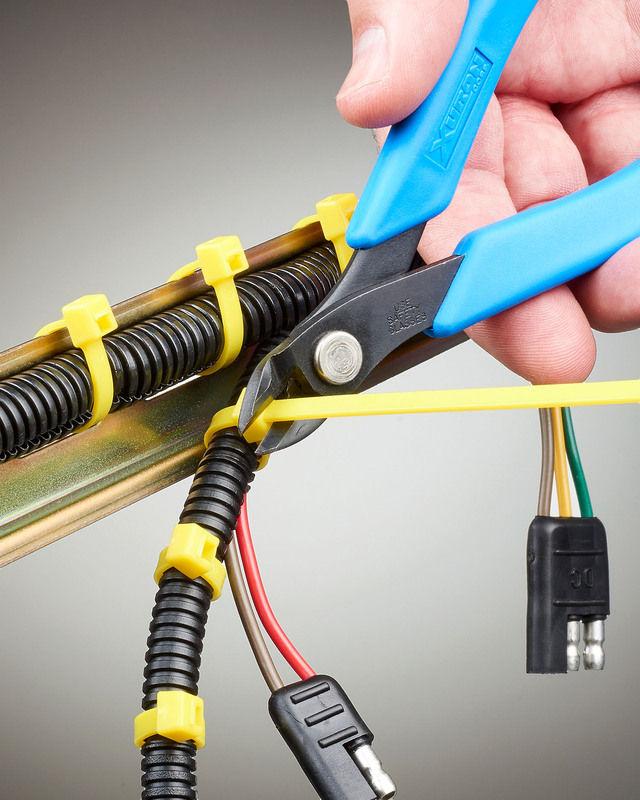 Comfortable to hold in either hand to quickly and cleanly cut cable ties up to 0.25” W, soft plastics, and wire up to 12 AWG the Xuron® Model 2275 Cable Tie Cutter features soft Xuro-Rubber™ hand grips, a Light-Touch™ return spring, and no cumbersome finger loops. In addition to wire harness making and assembly, other cable tie applications include totes, signage, and general repair. The Xuron® Model 2275 Cable Tie Cutter sells for $18.95 (list). A complete catalog is available on request. Distributor and dealer inquiries invited.